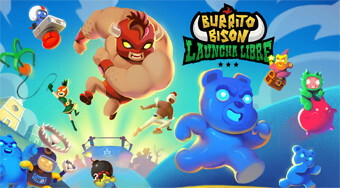 Do you like Burrito Bison 3: Launcha Libre? Share it with your friends. Shoot the wrestler in the air, destroy the running bears and try to fly as far as possible.